#THEGROWTHTABLEPROJECT ﻿is hugely inspired by all the amazing souls I have been blessed to meet throughout my journey in running Asha&Co. Through our soul sessions, I've had the opportunity to meet and talk to so many talented individuals, listen to their stories of growth and learn about the things that keep them going - their joys, their craft and passions. I had this thought to myself one day, "Wouldn't it be amazing if we allowed a space for anyone and everyone to share their passion projects with others and the inspiration and story behind what they do?" 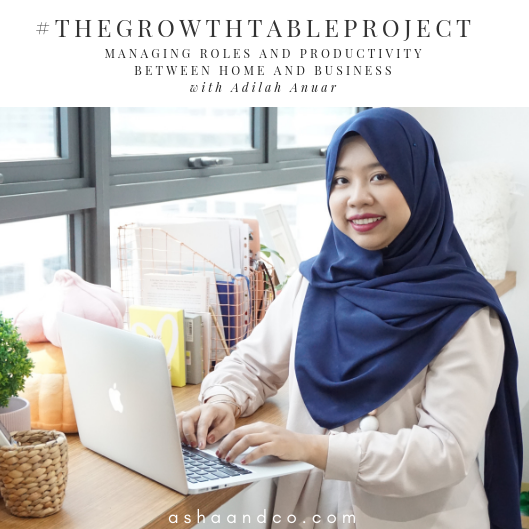 Thus, came #THEGROWTHTABLEPROJECT , ﻿a platform where people like you and me, get an opportunity to share about the things that give us purpose towards living a more balanced and fulfilling life. You could be a teacher that loves crocheting, an accountant that is a huge advocate of conservation of the natural environment or an entrepreneur that truly enjoys gardening and growing your own food. As long as you are passionate about it, we'd love for you to share the joy of self growth with others. And of course, in true Asha&Co style, what's a gathering without good food? WHAT IS A PASSION PROJECT & WHY IS IT IMPORTANT? Passion Projects are creative side projects. They’re connected to your deeper meaning and they have tangible outcomes. A passion project doesn’t mean a side business, although it could grow into one. A passion project is often an indulgence of your deep inner desire to create. A drive to bring your ideas to life, whatever form they may take. Anyone can do them. What you need most is inspiration and commitment. From painting, sculpting, spending an hour a week providing companionship to sick cats at a cat shelter or doing 30 days random acts of kindness. The possibilities are endless. One thing's for sure, Passion Projects can be a springboard for something greater, like making a career change or launching a new business. For some, finding more fulfilment and balance beyond work hours and life's responsibilities has been enough to change their outlook of life. Click on each featured women to see more photos of their session!